If there were any doubt about the burgeoning popularity of Voice over Internet protocol then they will be put to bed by the new findings of the Pew Internet Think Tank, as reported by Tech Crunch. Pew Internet found that one quarter of American adult internet users (19% of all American adults) have placed phone calls online. In fact 5% of internet users go online every day to place VoIP phone calls. These figures are up significantly over the last few years as Pew found that in the early part of last decade only 1% of internet users placed VoIP calls per day. Since then there has been a steady increase. 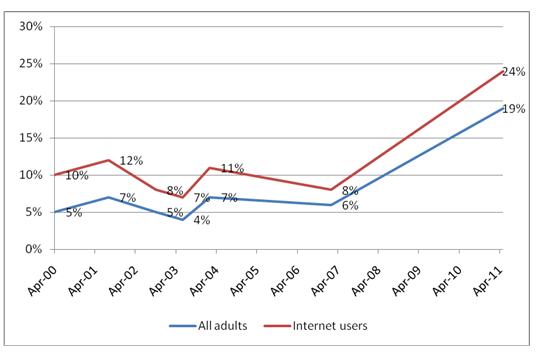 By 2007 6% of all adults in the US were going online to make cheap VoIP calls. 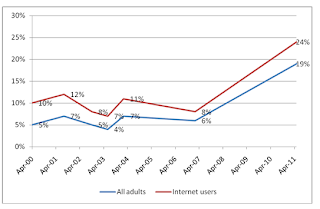 The biggest percentage of internet users are in the demographic between 18 and 29, while one third of those with an income over $70,000 in the US have made a phone call online. That VoIP tends to be the preserve of the affluent was shown by the fact that only 13% of people who earned less than $30,00 per year had used VoIP solutions. This massive trend shows why VoIP service Skype was recently the subject of a huge bidding war between Google, Facebook and Microsoft. Microsoft had to pay a staggering $8.5 billion to come out on top and many in the industry have questioned whether they can receive a return on investment for this. These figures that show how popular VoIP is in the US give an indication of why Microsoft was so keen to get a piece of the action. 0 Response to "VoIP used in a Quarter of US Homes"